Sportsinteraction.com is a trustworthy and stable operator that has offered sports betting for decades in Canada. Sports Interaction has focused on developing an excellent product which includes poker, casino, sports. One of our favorite aspects is their Live Betting product which offers action on 200+ games per day from different betting markets around the globe. Sports Interaction has a 100% sign up bonus for new player’s which is one of the best that you will find in online gambling. Aside from being a great choice for MMA and UFC betting, Sports Interaction delivers when it comes to practically every sporting event on the planet. They have built an impressive product that is very intuitive and user friendly, you can pretty much bet on every sport, even some of the minor league events. In fact they offer betting on over 1000 leagues, tournaments and competitions worldwide. When it comes to Live Betting, you can find a match to bet on at nearly any time of day, with 200+ live betting events daily. The sportsbook offers various types of bets including singles, parlays, teasers, futures and props, but they also allow players to buy and sell points off the spread on certain events which is a nice plus from a sportsbook. The online casino at Sports Interaction offers something for every type of casino player. With massive progressive jackpots, mystery jackpots, weekly promotions and tournaments that start for as little as a penny it is one of the best available in online gambling. The casino is independently audited and the real number generator is regularly tested so you can be assured that it is 100% fair. The loyalty program Sports Interaction offers is one of the best in the industry with rebates and bonuses for all level of play, with the rewards increasing you’re your level of casino play. Sports Interaction knows how to treat you like the VIP that you are. Casino games available at Sports Interaction include all of your standards such as blackjack, caribbean stud, tri-card poker, craps, roulette, let em ride, pai gow poker and also slot machines. Join today and receive an extra 100% up to $100 in the casino. Sportsinteraction.com has a great online poker offering for all of its players. Due to regulations, US players have access to the Cake Poker Network client while non-US players play on iPoker. Both poker products offer excellent game play and all customers are eligible for a 110% up to $600 bonus, along with monthly reload offers, daily freerolls and large guaranteed tournaments. Being part of a poker network ensures that there are enough poker players online so that you can always find a game at the stake level that suits your ability. We tend to find that the competition on both networks is generally soft making for a better chance of winning. Sports Interaction is known for its top level sports product but we think players will also be impressed with the online poker, online casino and a racebook their racebook. Sports Interaction’s Live Betting is one of the best that we’ve been able to find, with 200+ games per week. We have also been impressed with the advances that Sports Interaction has made with their mobile product, they were one of the first to market years ago, and continue to innovate their product. That’s my own opinion of Sports Interaction.com. I highly recommend checking them out today. 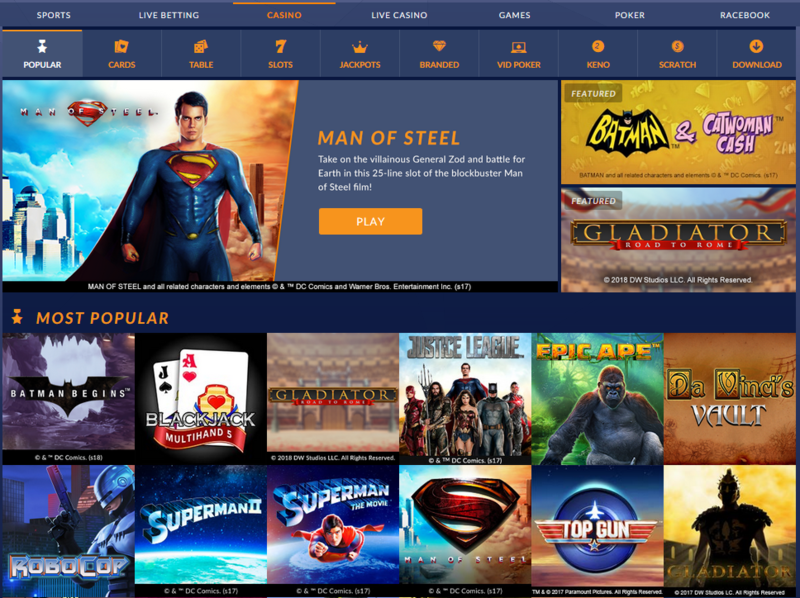 They are a top notch gambling site with an excellent product and top level customer service. You will not be disappointed.